You may have read at GAT Daily, my missive about learning some of the edible plants that are on the family property this year. One of those plants is the Autumn Olive. 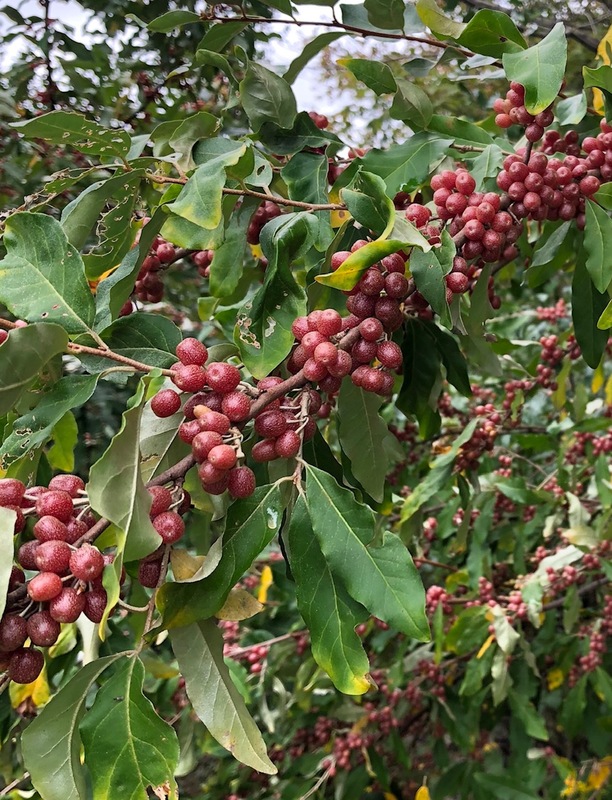 Once planted purposely for ground cover and wildlife feed, the Autumn Olive has become so prolific that it is now considered an invasive species. 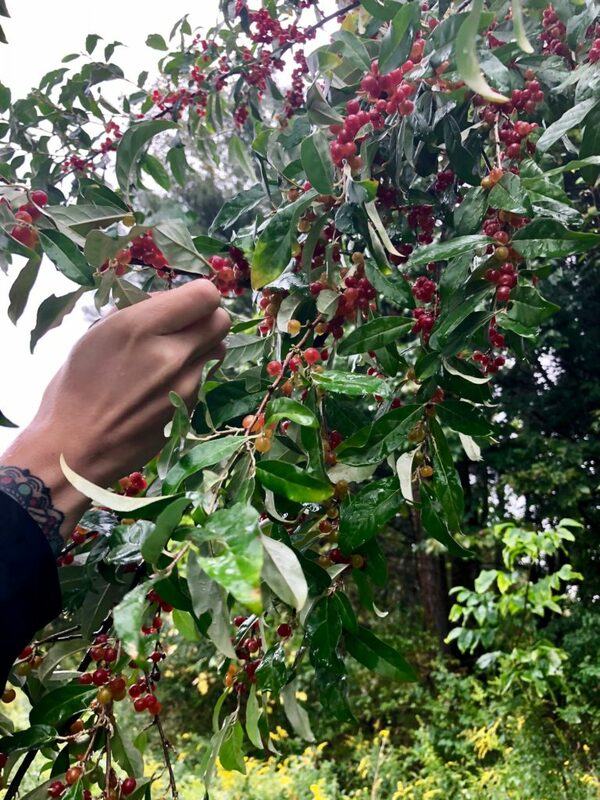 What isn’t mentioned in the informational releases about control methods of this invasive is that the berries are edible not just by wildlife, but by humans. This is probably because the state natural resources people don’t want folks planting Autumn Olive on purpose, and facilitating its spread. The irony is that I can remember helping my dad plant this shrub on another property on purpose in the 1970’s. The seedlings were provided by a state agency. Dad wanted cover and feed for grouse and other wildlife, but I’ll bet he never planned on feeding “me” instead. My daughter and I had noticed many bushes of Autumn Olive in bloom on the property in the spring, so we knew there would be a lot of fruiting going on come September. Sure enough, on another excursion in the fall, we found dozens of shrubs which were heavy with thousands of berries each. No wonder this plant is considered invasive. 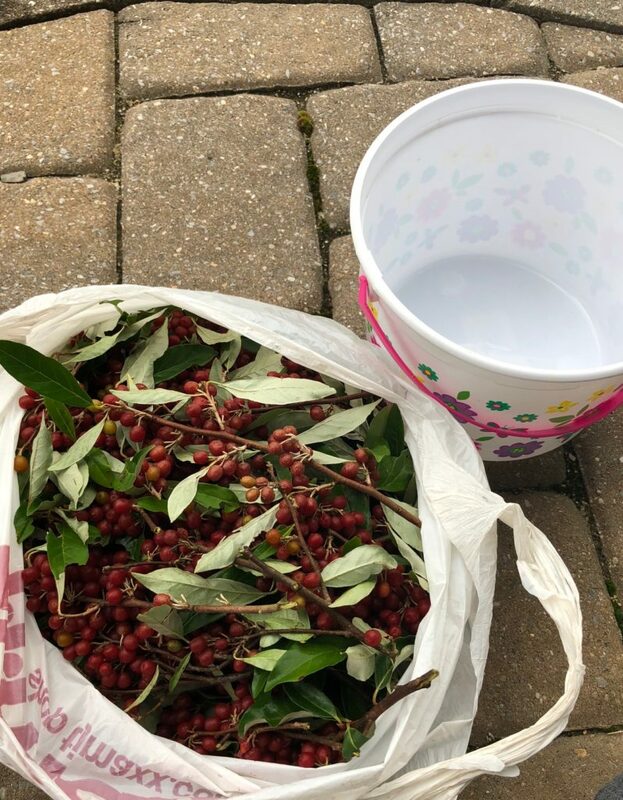 The seeds from one bush-worth of berries could sow acres and acres of new bushes. 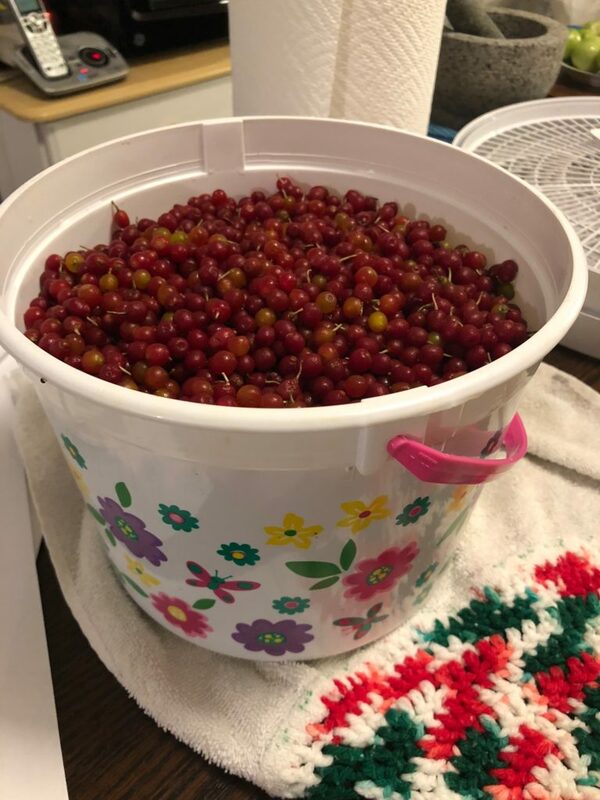 So, we did our part to control this invasive – we started picking berries. In the space of about a half hour we had filled a plastic grocery sack full of berries – and barely put a dent in the tree we were working on. We even started breaking off branches that were particularly heavy and taking the whole branch, figuring that if it’s an invasive species it doesn’t matter if you injure the bush, right? Once we got home and sorted the twigs and leaves out, it worked out to about a gallon of berries. 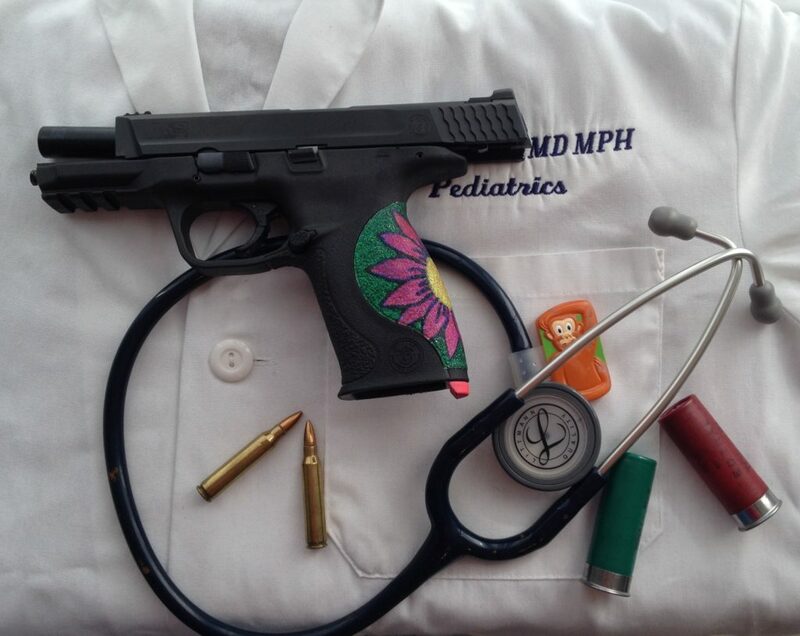 I also de-stemmed them. This was a pretty labor intensive project as them stems were tiny, but I didn’t want them contaminating the final product. I read that after cleaning, the berries can be frozen for processing later. That made me happy. 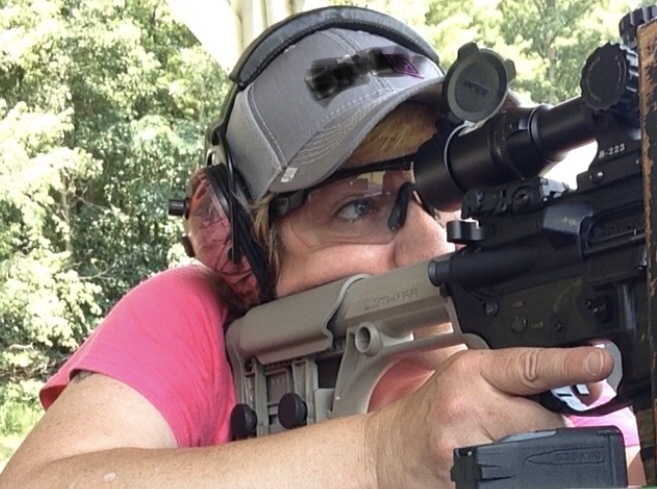 I then felt less pressure to get all of the cleaning and cooking done in one weekend. I even returned to the property the following weekend and brought home another gallon of berries! 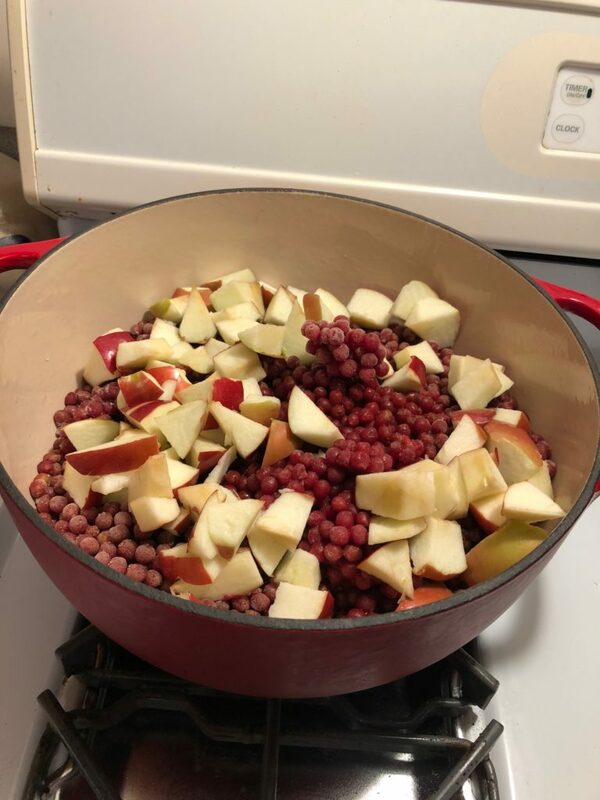 The berries are pretty tart in their natural state and contain a fairly large seed, so I searched the internet for recipes for how to process them. 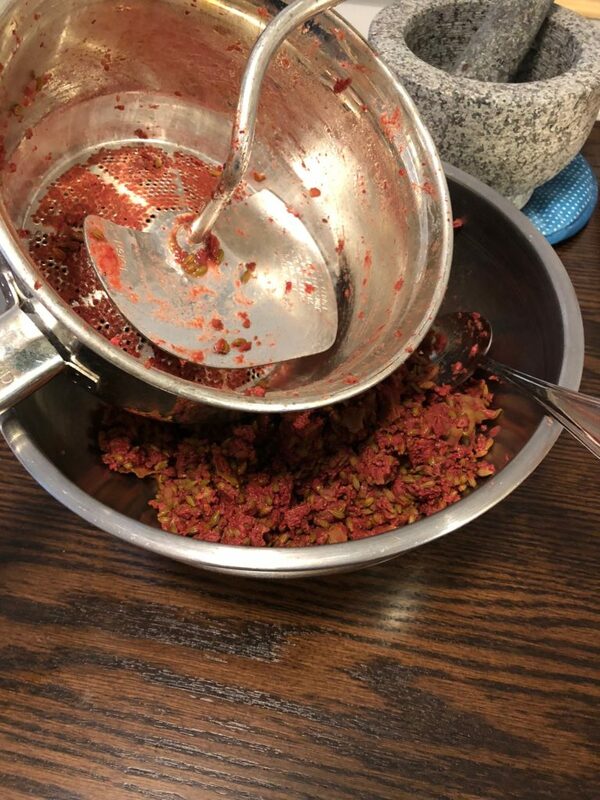 I found a recipe for jam, and for fruit leather, both of which used a food mill to strain out the seeds after cooking. 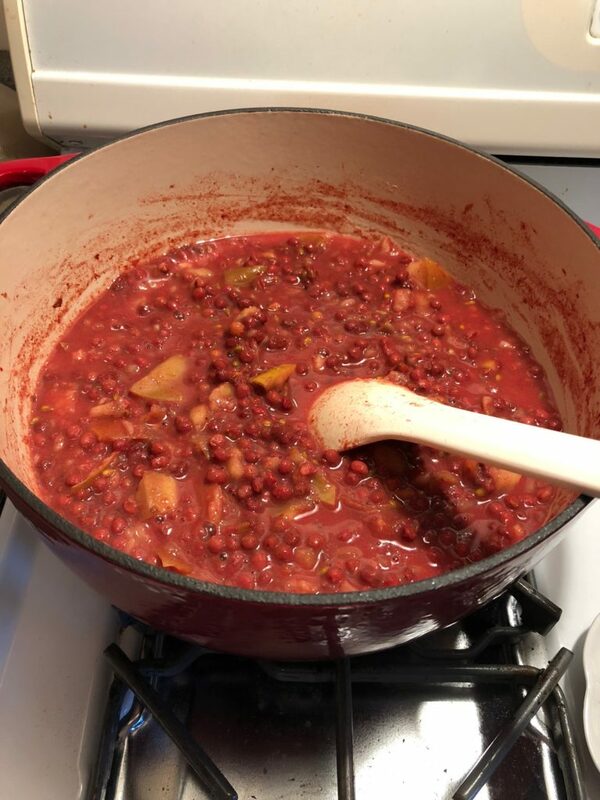 According to the recipe, the boiling process kills the seeds, but I still threw them in the garbage rather than trying to compost them. I didn’t want to take a chance on being a Typhoid Mary of environmental destruction. 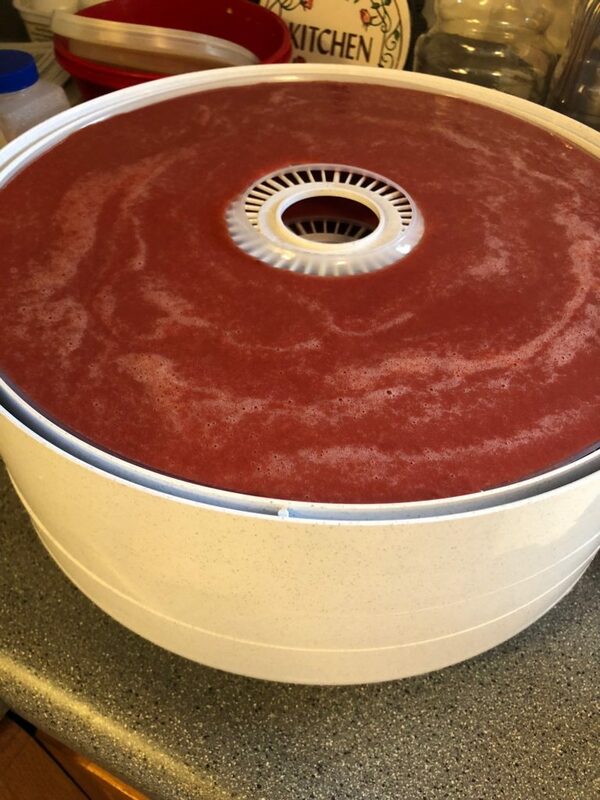 After a couple Saturdays-worth of work, two gallons of berries (some fresh and some frozen) netted me a total of ten half pints of jam and several dehydrator trays of fruit leather. It was quite a satisfying return. I only had one hitch in the process. 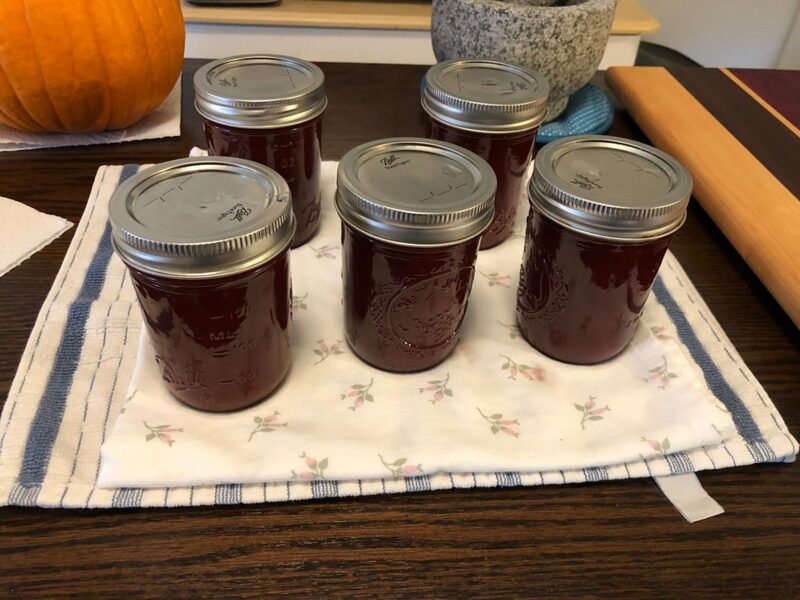 It turned out that I hadn’t cooked the first batch of jam quite long enough for it to gel properly. It ended up having more of a sauce-like consistency than jam. But the berry “sauce” turned out to be delicious over ice cream, and also as a waffle topping. I even drizzled some onto my morning oatmeal instead of maple syrup. It reminded me of the flavor of lingonberry crepes I had at IHOP once. In addition to being “free” and tasty, the berries are supposed to be nutritionally beneficial as well, containing Vitamins A, C, E and also antioxidants like Lycopene. So, if you are interested in learning about and eating a forage plant, the Autumn Olive berry may be a good place to start. Just be careful that you have the right plant. I had the advantage of a daughter forestry major to confirm the identification for me, but the leaves and berries have sparkly spots on them, which is pretty characteristic. And also be careful to trash the seeds during processing. 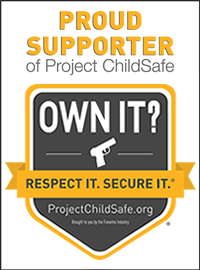 Follow the various links provided for much more information.